When you’re directing television, the most fun and creative challenge is adapting to the rapid transition of style/genre and meeting diverse personnel you encounter from series to series which can result in some of the most bizarre and hilarious adventures of the helming trade. One of the most memorable occurred when I was hired to direct a new cop series titled Lady Blue, shooting in Chicago. The day before my travel from Los Angeles, I was summoned to the executive producer’s office for a pep talk and last-minute instructions about the show. David Gerber was a prolific producer of many hit shows throughout his illustrious career, and at the time, was also president of MGM Television where the show was produced. Photo: On the set of Lady Blue, me and stars Jamie Rose and Danny Aiello. His secretary led me into his office where David was sitting behind a large mahogany desk. After a quick handshake, David started talking about the final climactic scene which was a shoot-out between our police heroes and two brothers who were badass serial killers. As I listened, David got more and more animated talking wildly with his hands and playing out his vision of the scene. He then said, “I want the first bullet to hit him in the right shoulder…give me a bullet hit here, like this,” as he violently swung his left hand to his right shoulder. In what suddenly seemed like a slow-motion horror movie scene, I watched as David hit his shoulder so hard that he went flying backwards on his swivel chair, crashing to the floor, and all I now saw were his feet pointing straight up, wiggling. “Oh my God!” I yelled as I shot up and hurried around the giant desk to help David off the floor. “Are you alright, Mr. Gerber?” I asked as I pulled him to his feet and straightened the chair back up. David sat down and started talking about the scene again like nothing had happened. Stunned, all I could do was return to my chair and sit down, completely unnerved, wondering if he just had a concussion and was incapable of feeling any pain—yet. Then, he said, “I want the second bullet to hit him this time in the left shoulder…give me a bullet hit here, like this,” as he violently swung his right hand to his left shoulder…and…and…in what truly seemed like a scene from theater of the absurd, David hit his shoulder so hard that he went flying backwards yet again! I watched in disbelief this “take two” of the most surreal sight as his swivel chair hit the floor hard, feet pointing straight up, wiggling—once again! OMG! For a millisecond I was frozen not sure if I should run out and get his secretary or a medic to help deal with what seemed like a possible medical condition I was not familiar with called falling backwards in your chair while showing a director how an actor should take a bullet hit! Or two bullet hits. Could there be more a la Sam Peckinpah? This guy could do serious damage to his head before the scene ran out of bullets! As I rushed to help David up and brought his chair back up, he again seemed impervious to the double whammy tumbling events of the previous two minutes of my life. This time he did not sit (thank God) but walked me to the door as he told me that this was all he wanted to make sure I knew: his vision of the bullet hits. He wished me good luck on the show and told me to enjoy Chicago. 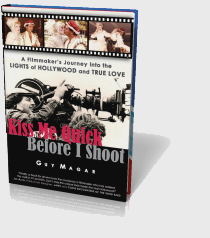 The next time I heard from David was about ten days later through one of my producers on set named Chris Chulack (who went on to great success as a producer of ER and a DGA-award winning director.) Apparently, there was a problem with the dailies they had just watched in Los Angeles. The previous day, we had shot at a train yard, and to make the dailies more fun to watch, I threw a rubber hand that landed in the middle of the tracks in front of the camera after a train passed by. The show executives at ABC freaked out seeing this hand fall on the tracks as the remnants of the victim that had just been run over. No sense of humor? What I didn’t know was that it was a nervous time for the network as the series was getting a lot of flack for being much too violent; after all, it was the TV version of “Make my day!” Dirty Harry starring a female lead. “Tell Magar no more body parts, goddamn it!” was the message relayed from David through Chulack. Here was a guy who thought nothing of doing somersaults in his chair while smashing his head to show me the degree of violence he wanted bullet hits to hit a body but I couldn’t show a severed hand dropping behind a train? OK, so I had put some ketchup on it too. Besides the wonderful memory of this most colorful of producers I had the pleasure of working with, I remember this show because it guest-starred a young Johnny Depp in one of his very first roles (before 21 Jump Street) as one of the killers. I bet Johnny never knew our executive producer in Los Angeles was so dedicated to the show that he almost cracked his head twice showing me how I should shoot Depp in the finale. 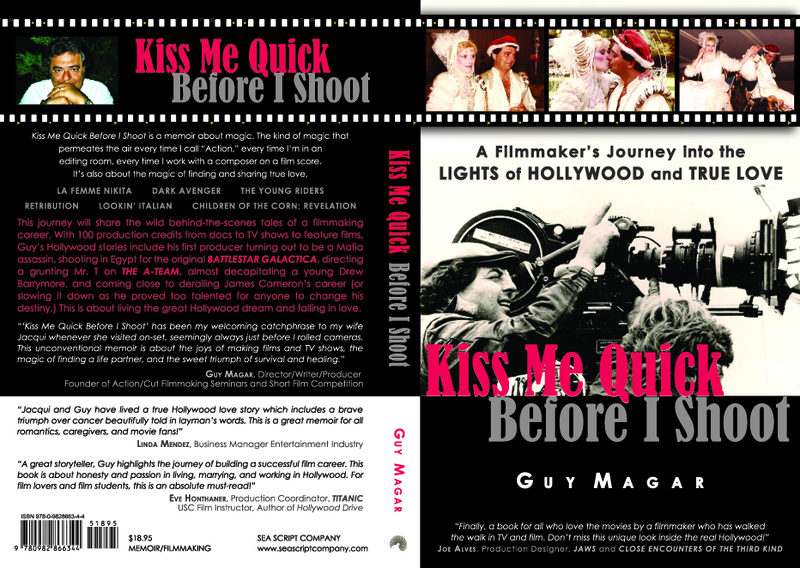 This entry was posted in Book Lovers, Celebrity in America, Entertainment News, Filmmaking, Great Film Directors, Hollywood Industry, Kiss Me Quick Before I Shoot, Movie Magic, Television Production, Uncategorized and tagged ABC, Chicago, Chris Chulack, Danny Aiello, ER, Guy Magar, Jamie Rose, Johnny Depp, Lady Blue, MGM Television. Bookmark the permalink.